This salad has a little bit of something for everyone in it. You’ll get a little bit of sweetness from the apple – the earthy, anise flavoring from the fennel – and richness from the goat cheese. 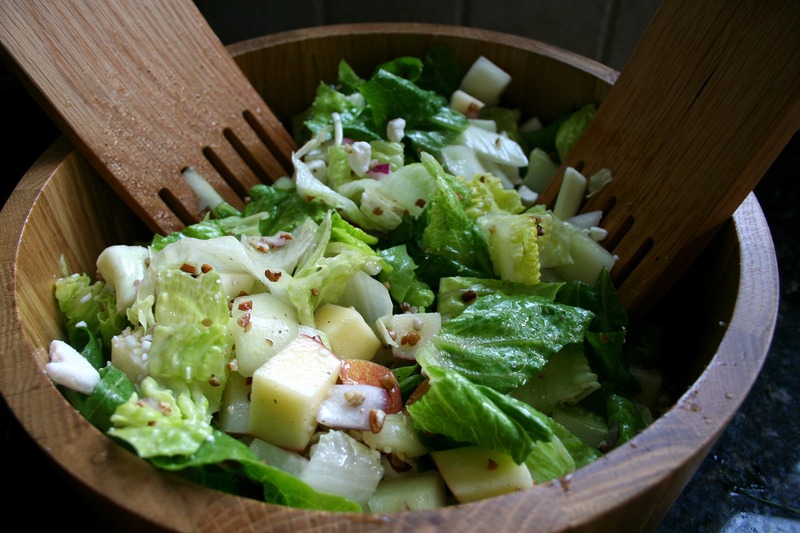 The simple oil and vinegar dressing is unimposing and lets the flavors from the ingredients shine through. It’s yummy as a side dish, but could be equally satisfying as a light main course on a hot summer day. Braeburn, Jonagold, or Red Delicious apples would all work well here. Combine the peeled and diced cucumber 1/2 teaspoon salt in a colander and set over a bowl and drain for 15 minutes. 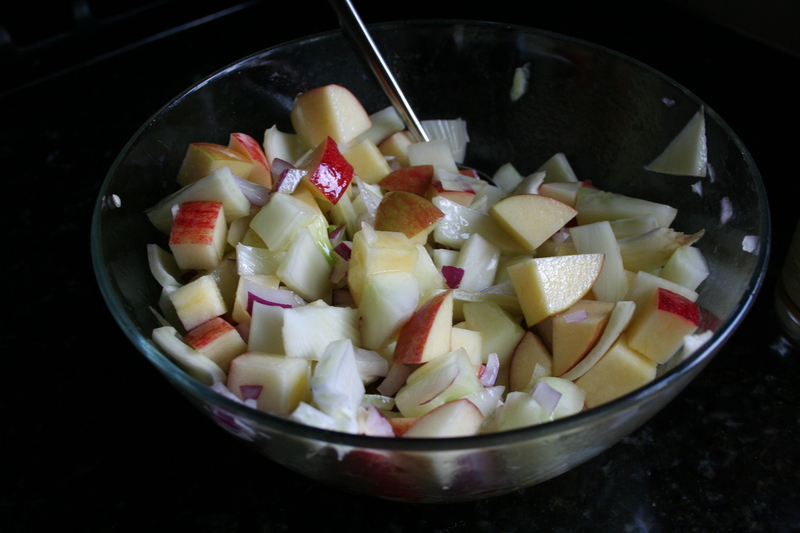 Whisk the oil and vinegar together in a large bowl. 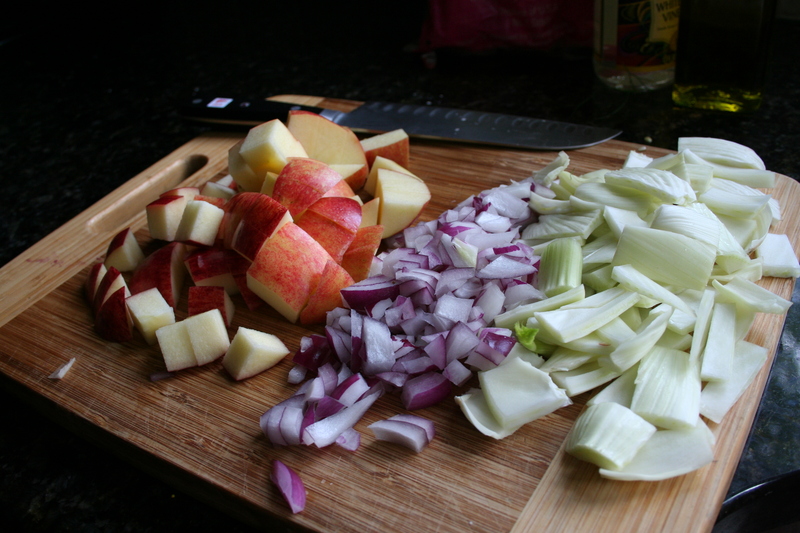 Add the drained cucumber, fennel, apples, onion. Toss and let stand at room temperature to blend flavor for about 5 minutes. 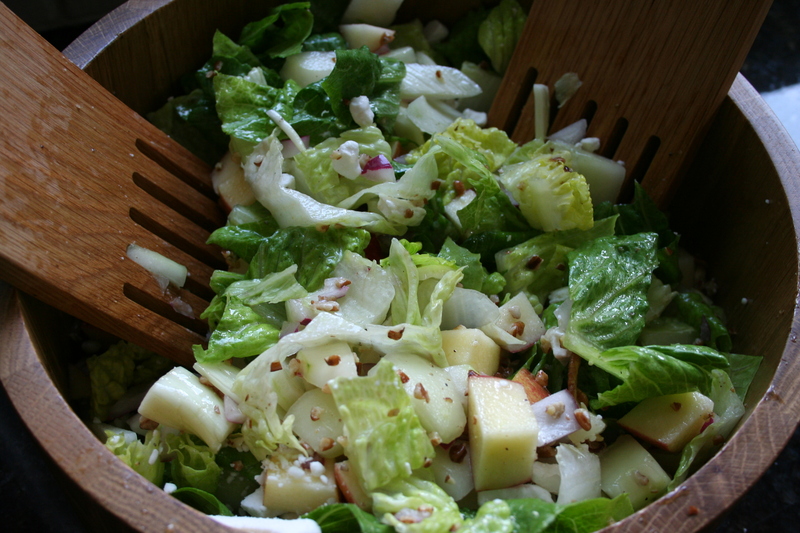 Add the romaine and chopped nuts and toss to combine. Season with salt and pepper to taste. 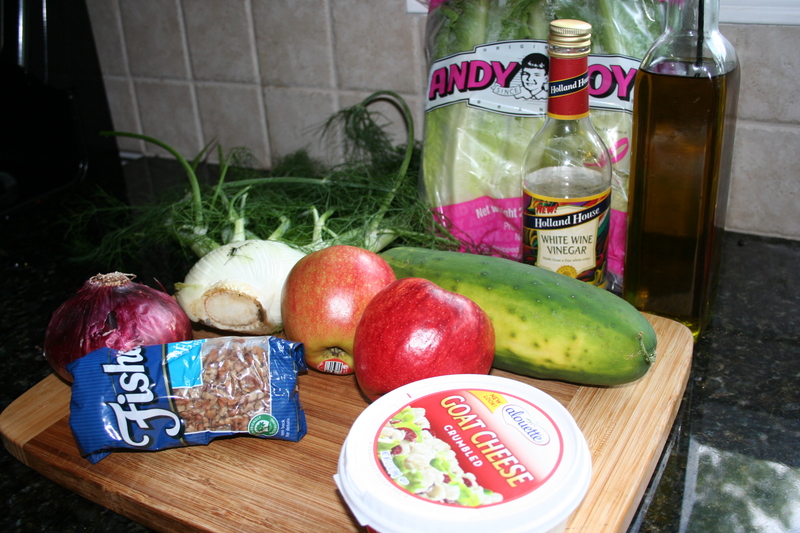 Divide salad among plates and top each with some goat cheese and serve. That looks lovely. I love the salad tongs and bowl haha!